"G.E. Moore" redirects here. For the cofounder of Intel, see Gordon Moore. George Edward "G. E." Moore OM FBA (/mʊər/; 4 November 1873 – 24 October 1958) was an English philosopher. He was, with Bertrand Russell, Ludwig Wittgenstein, and (before them) Gottlob Frege, one of the founders of the analytic tradition in philosophy. Along with Russell, he led the turn away from idealism in British philosophy, and became well known for his advocacy of common sense concepts, his contributions to ethics, epistemology, and metaphysics, and "his exceptional personality and moral character." He was Professor of Philosophy at the University of Cambridge, highly influential among (though not a member of) the Bloomsbury Group, and the editor of the influential journal Mind. He was elected a fellow of the British Academy in 1918. He was a member of the Cambridge Apostles, the intellectual secret society, from 1894 to 1901, and the Cambridge University Moral Sciences Club. Moore was born in Upper Norwood, Croydon, Greater London, on 4 November 1873, the middle child of seven of Dr Daniel Moore and Henrietta Sturge. His grandfather was the author Dr George Moore. His eldest brother was Thomas Sturge Moore, a poet, writer and engraver. He was educated at Dulwich College and in 1892 went up to Trinity College Cambridge to study classics for moral sciences. He became a Fellow of Trinity in 1898, and went on to hold the University of Cambridge chair of Mental Philosophy and Logic, from 1925 to 1939. Moore is best known today for his defence of ethical non-naturalism, his emphasis on common sense in philosophical method, and the paradox that bears his name. He was admired by and influential among other philosophers, and also by the Bloomsbury Group, but is (unlike his colleague Russell) mostly unknown today outside of academic philosophy. Moore's essays are known for their clear, circumspect writing style, and for his methodical and patient approach to philosophical problems. He was critical of modern philosophy for its lack of progress, which he believed was in stark contrast to the dramatic advances in the natural sciences since the Renaissance. Among Moore's most famous works are his book Principia Ethica, and his essays, "The Refutation of Idealism", "A Defence of Common Sense", and "A Proof of the External World". He was president of the Aristotelian Society from 1918-19. Paul Levy wrote in Moore: G. E. Moore and the Cambridge Apostles (1979) that Moore was an important member of the secretive Cambridge Apostles. 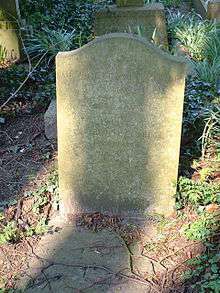 G. E. Moore died on 24 October 1958; he was cremated at Cambridge Crematorium on 28 October 1958 and his ashes interred at the Parish of the Ascension Burial Ground in Cambridge, England; his wife, Dorothy Ely (1892-1977) was buried there. Together they had two sons, the poet Nicholas Moore and the composer Timothy Moore. His influential work Principia Ethica is one of the main inspirations of the movement against ethical naturalism (see ethical non-naturalism) and is partly responsible for the twentieth-century concern with meta-ethics. Moore asserted that philosophical arguments can suffer from a confusion between the use of a term in a particular argument and the definition of that term (in all arguments). He named this confusion the naturalistic fallacy. For example, an ethical argument may claim that if a thing has certain properties, then that thing is 'good.' A hedonist may argue that 'pleasant' things are 'good' things. Other theorists may argue that 'complex' things are 'good' things. Moore contends that even if such arguments are correct, they do not provide definitions for the term 'good.' The property of 'goodness' cannot be defined. It can only be shown and grasped. Any attempt to define it (X is good if it has property Y) will simply shift the problem (Why is Y-ness good in the first place?). Moore's argument for the indefinability of "good" (and thus for the fallaciousness of the "naturalistic fallacy") is often called the open-question argument; it is presented in §13 of Principia Ethica. The argument hinges on the nature of statements such as "Anything that is pleasant is also good" and the possibility of asking questions such as "Is it good that x is pleasant?" According to Moore, these questions are open and these statements are significant; and they will remain so no matter what is substituted for "pleasure". Moore concludes from this that any analysis of value is bound to fail. In other words, if value could be analysed, then such questions and statements would be trivial and obvious. Since they are anything but trivial and obvious, value must be indefinable. Critics of Moore's arguments sometimes claim that he is appealing to general puzzles concerning analysis (cf. the paradox of analysis), rather than revealing anything special about value. The argument clearly depends on the assumption that if "good" were definable, it would be an analytic truth about "good," an assumption many contemporary moral realists like Richard Boyd and Peter Railton reject. Other responses appeal to the Fregean distinction between sense and reference, allowing that value concepts are special and sui generis, but insisting that value properties are nothing but natural properties (this strategy is similar to that taken by non-reductive materialists in philosophy of mind). Therefore, we cannot define "good" by explaining it in other words. We can only point to an action or a thing and say "That is good." Similarly, we cannot describe to a blind person exactly what yellow is. We can only show a sighted person a piece of yellow paper or a yellow scrap of cloth and say "That is yellow." In addition to categorising "good" as indefinable, Moore also emphasized that it is a non-natural property. This means that it cannot be empirically or scientifically tested or verified - it is not within the bounds of "natural science". 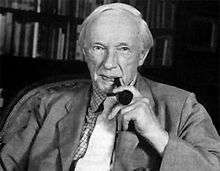 In order to express the fact that ethical propositions of my first class [propositions about what is good as an end in itself] are incapable of proof or disproof, I have sometimes followed Sidgwick's usage in calling them 'Intuitions.' But I beg that it may be noticed that I am not an 'Intuitionist,’ in the ordinary sense of the term. Sidgwick himself seems never to have been clearly aware of the immense importance of the difference which distinguishes his Intuitionism from the common doctrine, which has generally been called by that name. The Intuitionist proper is distinguished by maintaining that propositions of my second class—propositions which assert that a certain action is right or a duty—are incapable of proof or disproof by any enquiry into the results of such actions. I, on the contrary, am no less anxious to maintain that propositions of this kind are not 'Intuitions,’ than to maintain that propositions of my first class are Intuitions. Moore distinguished his view from the view of deontological intuitionists, who held that "intuitions" could determine questions about what actions are right or required by duty. Moore, as a consequentialist, argued that "duties" and moral rules could be determined by investigating the effects of particular actions or kinds of actions (PE § 89), and so were matters for empirical investigation rather than direct objects of intuition (PE § 90). On Moore's view, "intuitions" revealed not the rightness or wrongness of specific actions, but only what things were good in themselves, as ends to be pursued. Moore is also remembered for drawing attention to the peculiar inconsistency involved in uttering a sentence such as "It is raining but I do not believe it is raining. "—a puzzle which is now commonly called "Moore's paradox." The puzzle arises because it seems impossible for anyone to consistently assert such a sentence; but there doesn't seem to be any logical contradiction between "It is raining" and "I don't believe that it is raining." because the former is a statement about the weather and the latter a statement about a person's belief about the weather, and it is perfectly logically possible that it may rain whilst a person does not believe that it is raining. In addition to Moore's own work on the paradox, the puzzle also inspired a great deal of work by Ludwig Wittgenstein, who described the paradox as the most impressive philosophical insight that Moore had ever introduced. It is said that when Wittgenstein first heard this paradox one evening (which Moore had earlier stated in a lecture), he rushed round to Moore's lodgings, got him out of bed and insisted that Moore repeat the entire lecture to him. The value of a whole must not be assumed to be the same as the sum of the values of its parts (Principia, § 18). According to Moore, a moral actor cannot survey the "goodness" inherent in the various parts of a situation, assign a value to each of them, and then generate a sum in order to get an idea of its total value. A moral scenario is a complex assembly of parts, and its total value is often created by the relations between those parts, and not by their individual value. The organic metaphor is thus very appropriate: biological organisms seem to have emergent properties which cannot be found anywhere in their individual parts. For example, a human brain seems to exhibit a capacity for thought when none of its neurons exhibit any such capacity. In the same way, a moral scenario can have a value far greater than the sum of its component parts. To understand the application of the organic principle to questions of value, it is perhaps best to consider Moore’s primary example, that of a consciousness experiencing a beautiful object. To see how the principle works, a thinker engages in "reflective isolation", the act of isolating a given concept in a kind of null-context and determining its intrinsic value. In our example, we can easily see that per sui, beautiful objects and consciousnesses are not particularly valuable things. They might have some value, but when we consider the total value of a consciousness experiencing a beautiful object, it seems to exceed the simple sum of these values (Principia 18:2). G. E. Moore: The Early Essays, by Tom Regan, Temple University Press (1986). The elements of ethics / G.E. Moore; edited and with an introduction by Tom Regan, Temple University Press, (1991). G. E. Moore, On Defining "Good," in Analytic Philosophy: Classic Readings, Stamford, CT: Wadsworth, 2002, pp. 1–10. ISBN 0-534-51277-1. ↑ Maria van der Schaar, G. F. Stout and the Psychological Origins of Analytic Philosophy, Springer, 2013, p. viii. ↑ "Moore, George Edward". Preston, Aaron. Internet Encyclopedia. Iep.utm.edu. 30 December 2005. Retrieved 13 April 2011. ↑ Levy, Paul (1979). Moore: G.E. Moore and the Cambridge Apostles. London: Weidenfeld and Nicolson. pp. 28–30. ISBN 0297775766. ↑ Baldwin, Tom (26 March 2004). "George Edward Moore". Stanford Encyclopedia of Philosophy. Center for the Study of Language and Information (CSLI), Stanford University. Retrieved 29 October 2015. ↑ "Moore, George Edward (MR892GE)". A Cambridge Alumni Database. University of Cambridge. ↑ Moore, G.E. (1903). Principia Ethica. Cambridge: University Press. ISBN 0879754982. Retrieved 29 October 2015. ↑ Yau, John (11 January 2015). "Nicholas Moore, Touched by Poetic Genius". Hyperallergic. Retrieved 29 October 2015. ↑ Marshall, Nicholas (10 March 2003). "Timothy Moore". The Guardian. Retrieved 14 March 2014. ↑ "Metaethics". Stanford Encyclopedia of Philosophy. by Geoff Sayre-McCord. Levy, Paul (1979). Moore: G.E. Moore and the Cambridge Apostles. ISBN 978-0-03-053616-8. Klemke, E. D. (1999). A Defense of Realism: Reflections on the Metaphysics of G. E. Moore. ISBN 1-57392-732-5. Tom Regan. Bloomsbury’s prophet: G.E. Moore and the development of his moral philosophy, Temple University Press (1986).